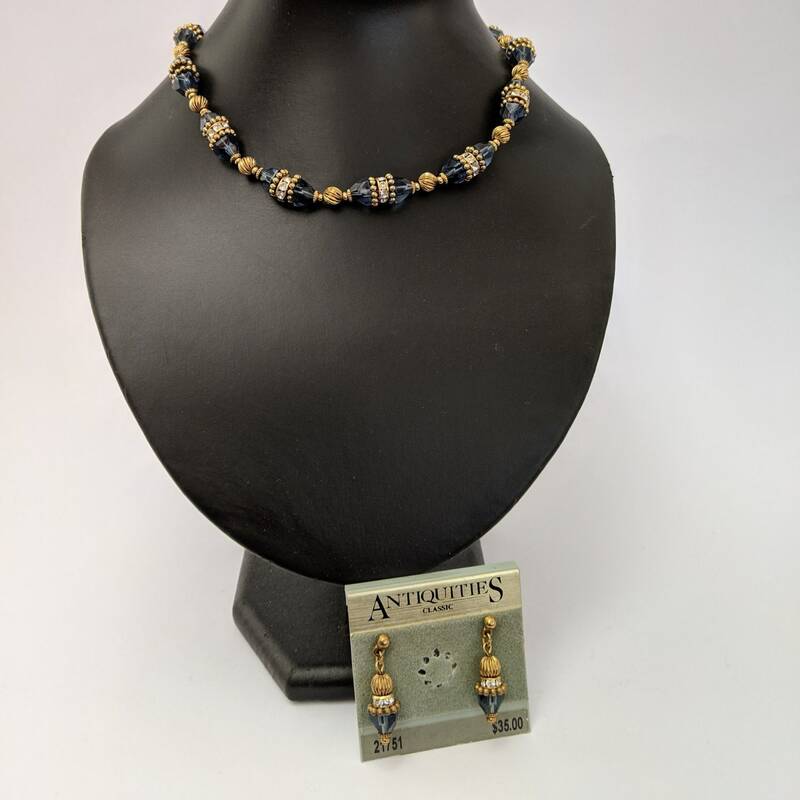 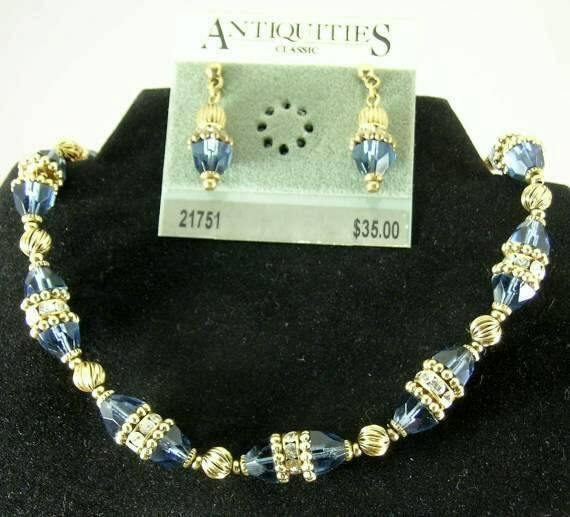 Greek Sapphire Necklace and Earrings Set from discontinued stock of the Antiquities Couture Collection by 1928. 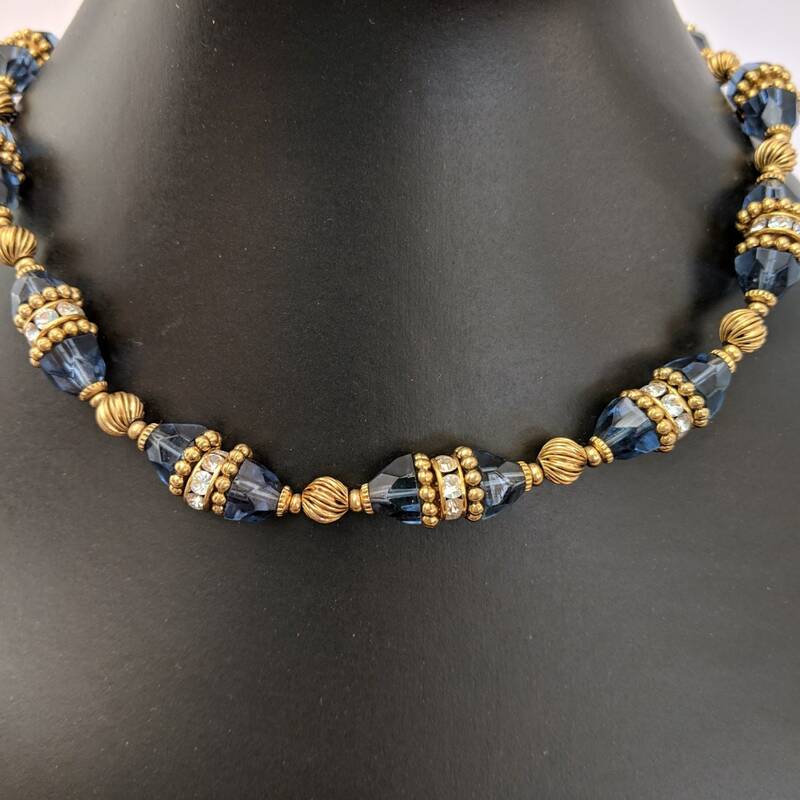 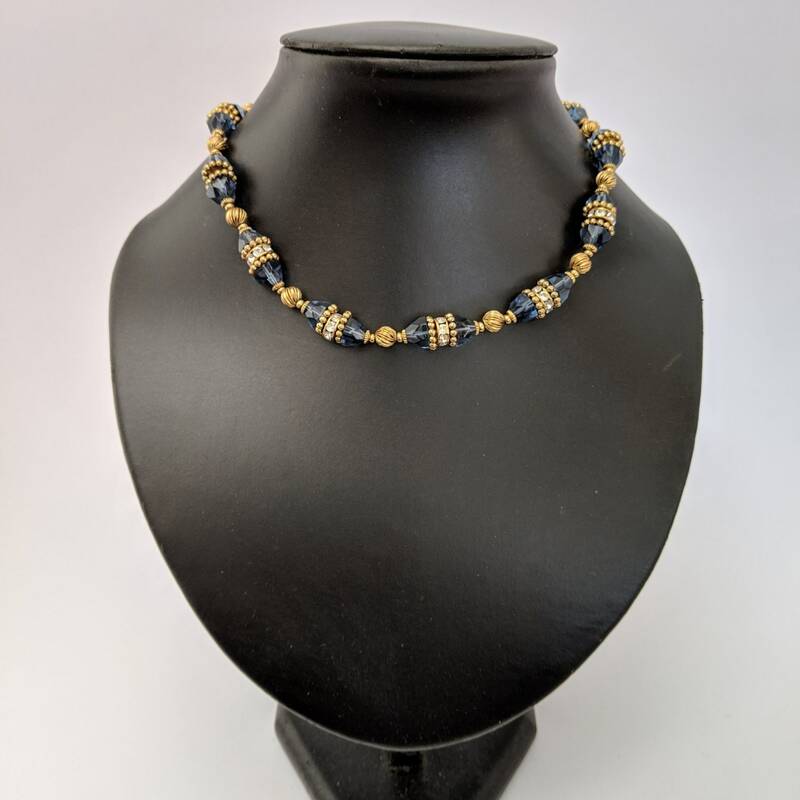 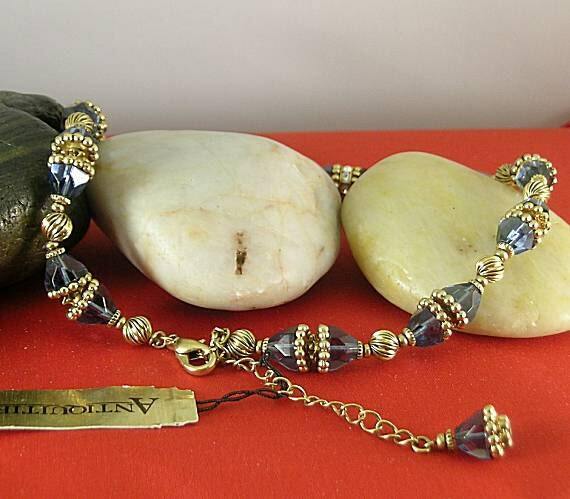 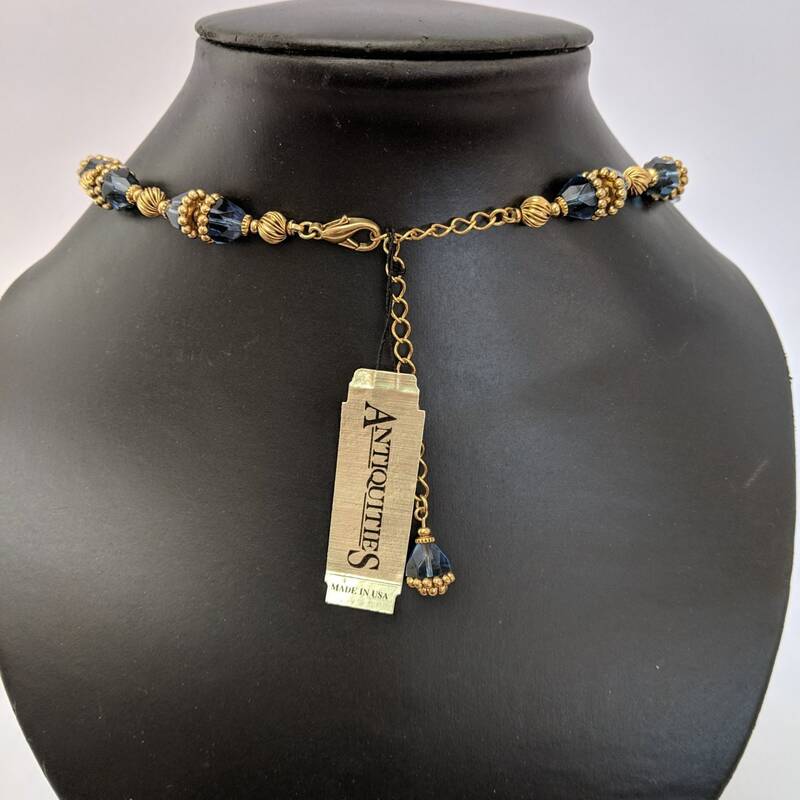 Although this was listed in 1928"s catalog as "Greek sapphire" I believe the cone shaped beads are blue glass and the spacers have Swarovski crystals. 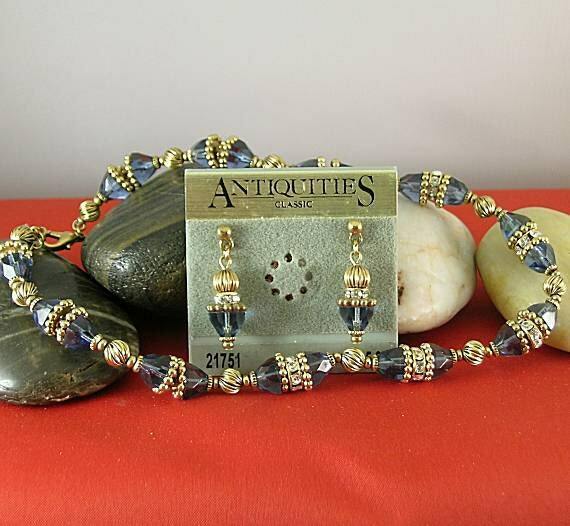 The gold settings are nickel-free 24k gold electroplate. 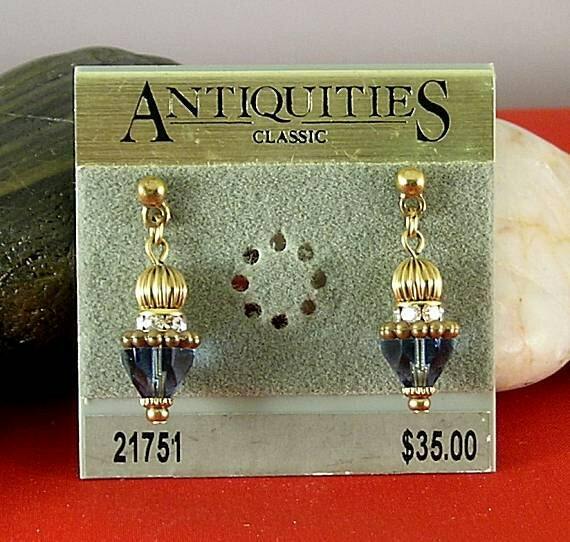 NOTE: These vintage items have never been worn. 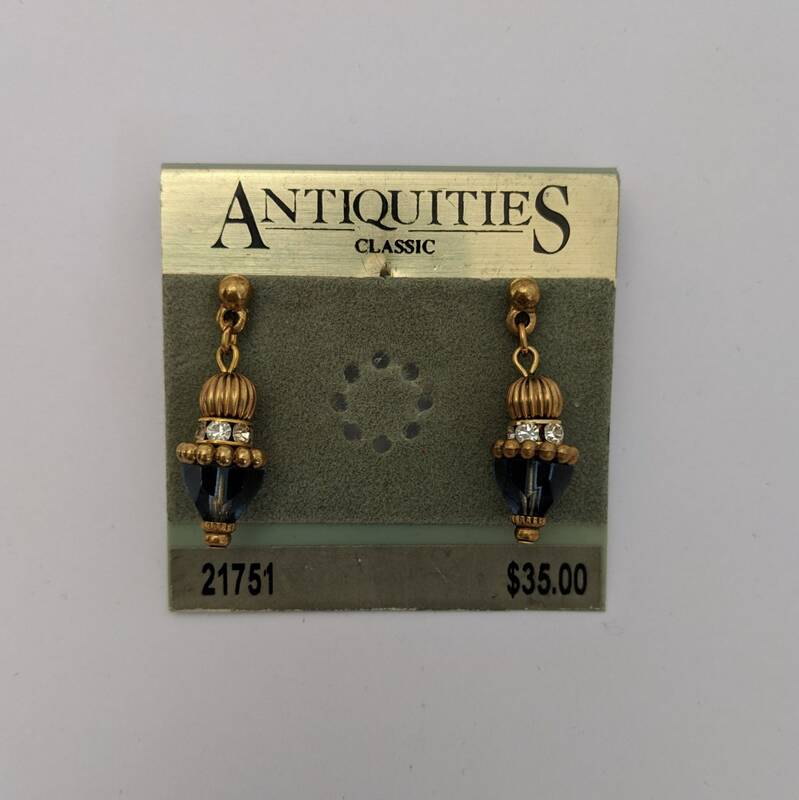 They have just been in storage or the shop for at least 20 years and it is time for them to go! 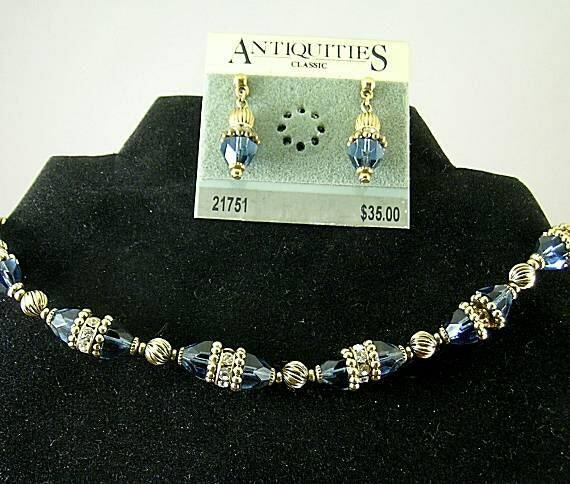 Don't delay in getting the ones you like because they will not last long!